Not a Flannel Friday ~ A Little Frozen Fun in Summer! Well, it has been an extremely long time! 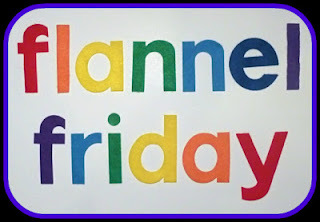 It is good to be back to the blog and the Flannel Friday Round-Up ~ even if it might just be this post for now. events at our Library for next week! "This guy is not your everyday snowman. 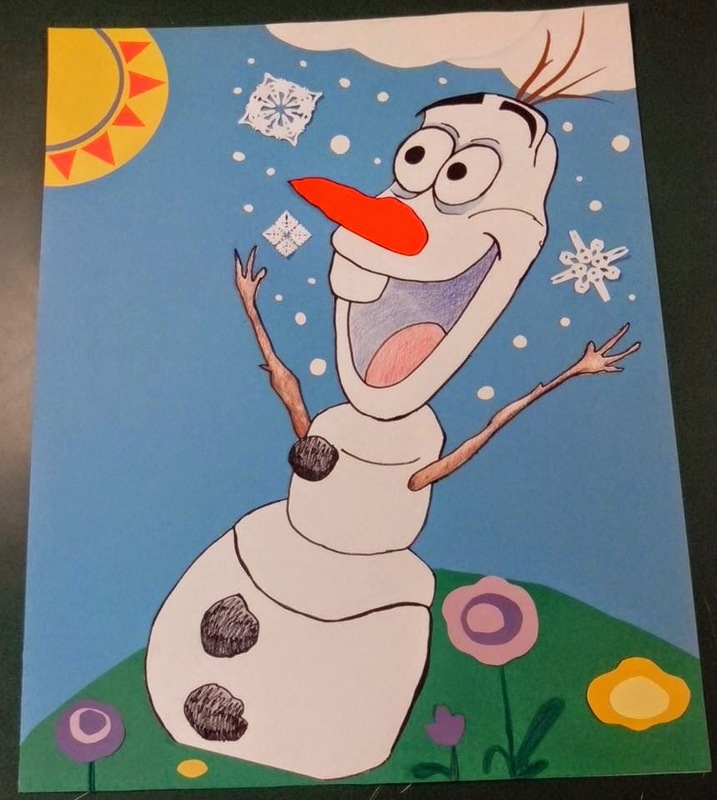 OLAF is An Amazing Snowman! If you are like I was and you haven't seen the movie yet, I really recommend you that you get and enjoy it with your family. My fiance and my 18 year old son actually watched it with me a few nights ago and we had a wonderful time! We all laughed so hard we had to go back and watch parts of it over again because we didn't want to miss anything. Ha ha! 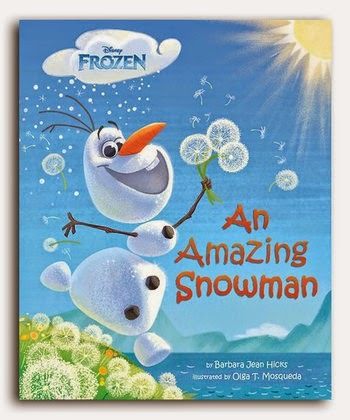 Oh, and let me just give one more recommendation ~ be sure to check out the FROZEN books about our amazing friend, Olaf. It is adorable! And fun to read outloud! Thanks for letting me participate in this week's Round-Up! Even though this was not a flannel, I am considering making another out of flannel because I think it would be an awesome activity to put out in our Children's area for our Library friends to play with. Let's celebrate a little "Wearin' of the Green" together! 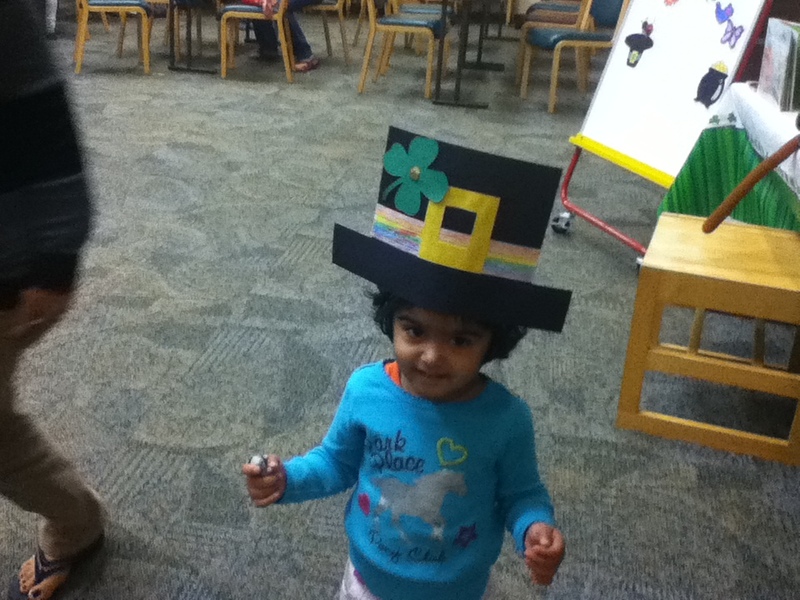 In the past, St. Patrick's Day has been a tough storytime to plan for our littlest storytime friends. 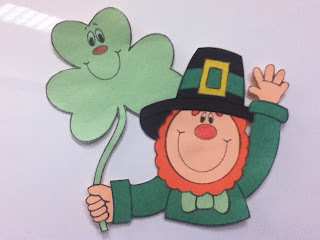 Most books about St. Paddy's Day and Leprechauns are long and wordy and difficult to share in a large group. 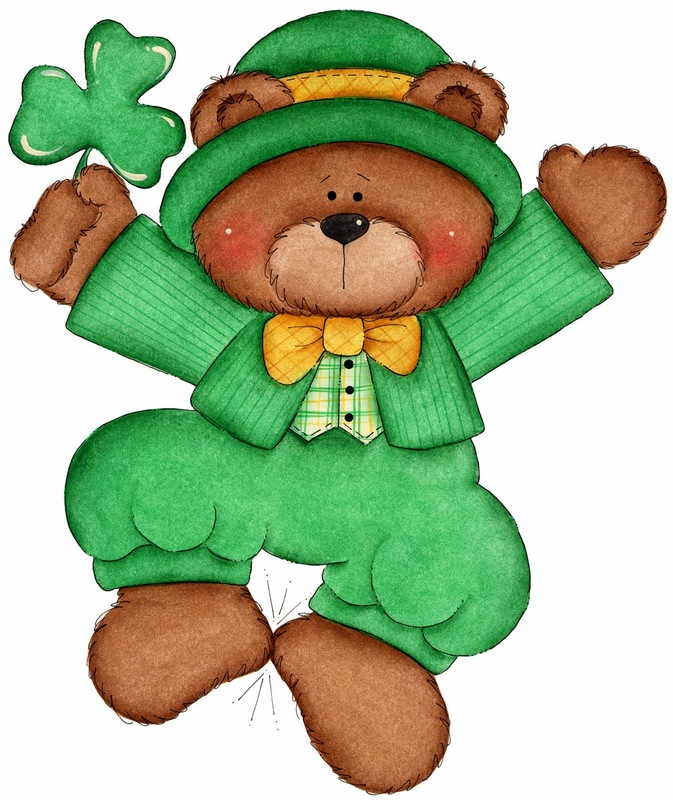 But a few years ago, I decided to focus more on the idea of shamrocks and rainbows. 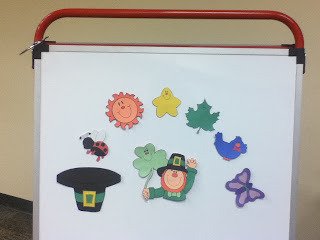 Today, I want to share our Leprechaun Fun! As mentioned before, I enjoy making new versions of "Brown Bear, Brown Bear, What Do You See?" Isn't he a friendly wee guy? The first thing our leprechaun sees is a BLACK hat. other items appear to be coming out of it. 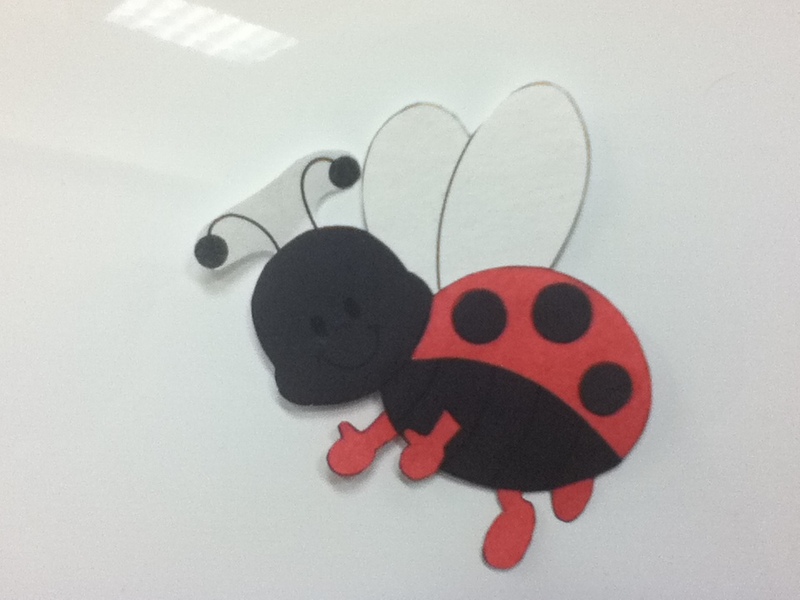 Our first item "flying" out of the hat is a RED ladybug. while making the ASL sign for rainbow. 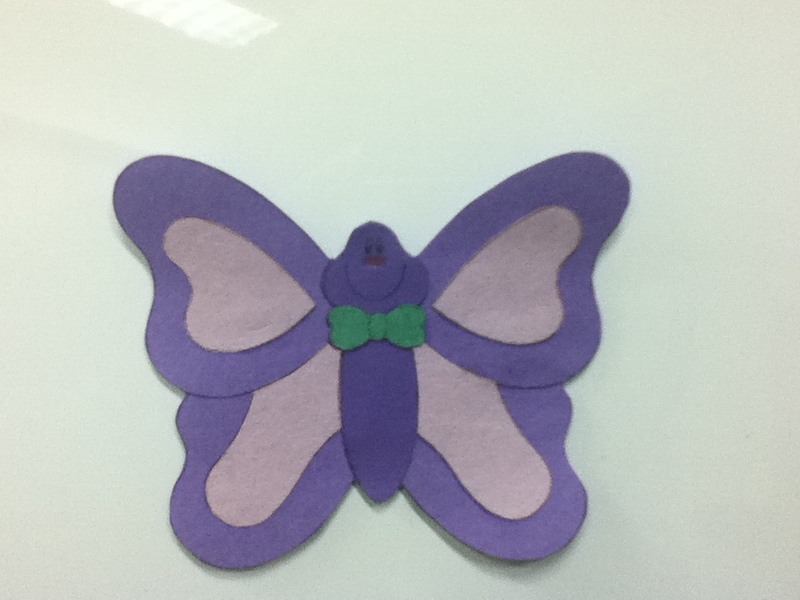 "Purple butterfly, Purple butterfly, what do you see? Up above us ~ flying across the sky! And what does a Leprechaun hide at the end of a RAINBOW? 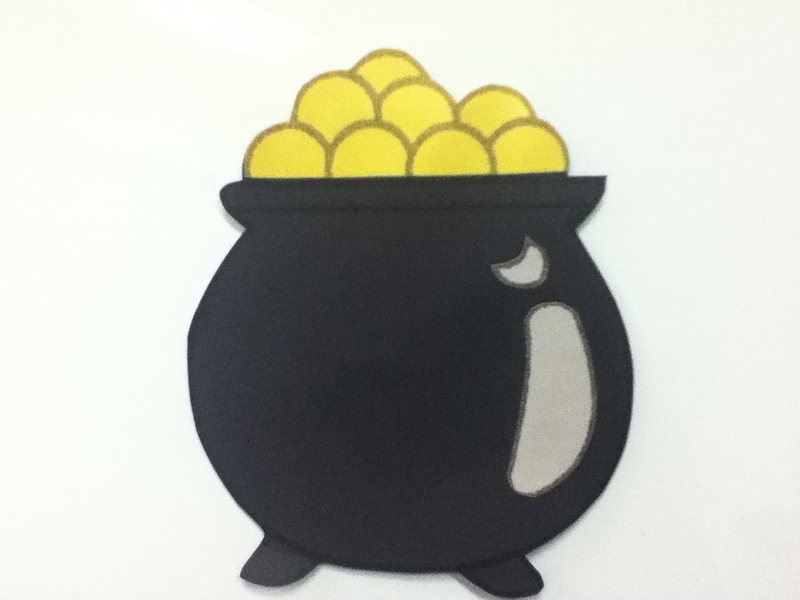 Here's our wee Leprechaun's pot of GOLD! 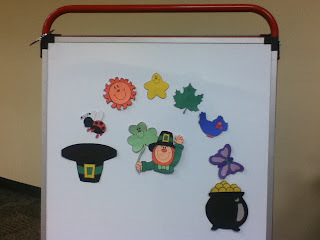 I forgot to mention that my story this week was made for the Magnetic Board rather than the Flannel Board. You could easily adapt it for the Flannel Board by adding felt to the back of the items rather than a piece of magnetic stripping or by cutting your own items from felt. The pieces were made by my "cut paper technique" ~ which is essentially layering different colors of construction paper ~ to add fun details. These are quick and fun items to make. 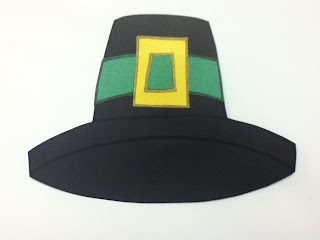 Following our storytime, we usually make our own black hat so that our friends can pretend to be Leprechauns at home. I think our wee friend just might be a PERFECT little Leprechaun! I hope you enjoyed our Leprechaun Fun! I know we always enjoy a special visit from our wee Irish friends at our storytimes each March. I am very excited to be hosting a Guest Post this week. My Guest is Melody who is a Pre-K teacher working with 15 four year olds. She "uses her magnetic and flannel boards quite often" and is "very happy to have found Flannel Friday and Storytimes and More On the Go through one of the past Saturday Share posts. Welcome to both groups, Melody! We all are happy to have you join us and can't wait to enjoy your ideas! "My share this first week is a magnetic board set. My preschool kids can't get enough of this rhyme. They pretend to be cats almost every day! For this activity cut out cat shapes in all colors in rhyme. We have a machine so it's super easy of me! Kids decorate the cats with crayons or markers. 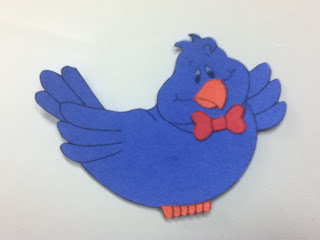 Attach popsicle sticks to backs to make puppets. Have kids sit in a circle. Ask each kid to name color of his cat puppet. Read poem and put correct cat on magnetic board. As kids hear color names have them raise their cats and say, "Mee-ow!" And whispers - "Mee ow!" When he cries - "Mee-ow!" When I say he can really - "Mee-ow!" Hear his famous - "Mee-ow!" I often leave my Color Cats out in our literacy center to allow kids to play-teach with them. They really love it!" This week I am posting in response to several email questions that I received awhile back and more recently, as well as a recent discussion on one of my Facebook groups. So ~ instead of a felt set for a book or rhyme, I am sharing a few Felt Cutting Tricks that I have learned from several different sources. The questions were mainly about how I cut my felt pieces ~ especially the smaller detailed ones. The best answer to "how do you cut such intricate, small details?" is a very good pair of scissors. My own scissors are extremely sharp! My Mom also taught us to choose the right pair of scissors for the job at hand. If the job is small then don't use big, clunky scissors! My go-to scissors for my felt projects ~ especially the smaller, more detailed cuts ~ are a small pair of Fiskars (see picture below). I bought them at WalMart about 7 years ago and they are still going strong. Well worth the cost! The next tricks I want to share are about the actual cutting. Since I need some lettering for an upcoming project, I thought I would use the letters as my examples. The first thing I do is find a font that I like and print it out in the size that I want to use. I then cut the individual letters a part. It has made cutting felt so much easier for me! It is magically easy! 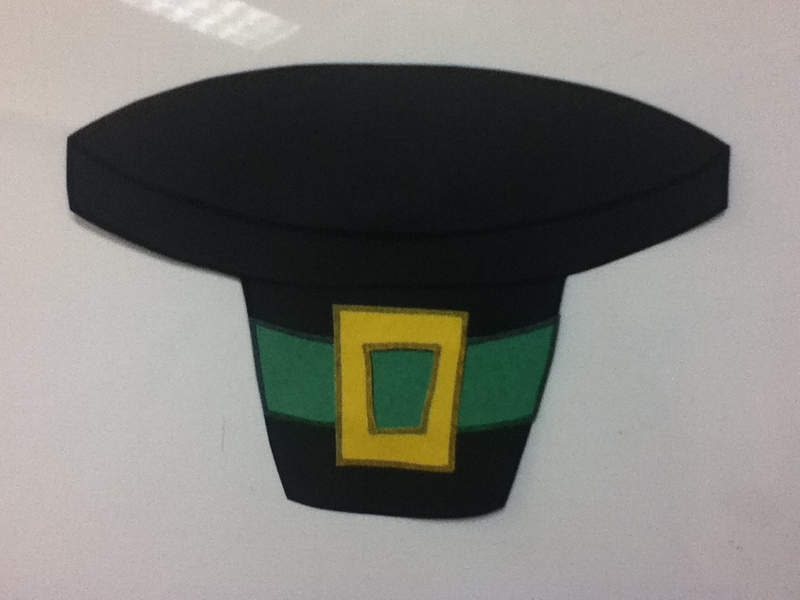 The magically easy step is to simply position your pattern on your felt and then tape it down with clear scotch tape. Believe me, this will make your felt-cutting experience a lot less frustrating! The tape holds the pattern in place and it makes it easier for you to move the felt and pattern around as you cut the details. I usually trim off the excess felt before cutting close to the pattern. This also makes it easier to maneuver the felt to get right into each little nook and cranny. There you have it ~ every librarian's favorite two letters! My next trick has to do with cutting from the middle of a pattern. Below is a step-by-step collage for cutting out the center of a lowercase A. I tried to make the pictures as large as possible. If you click on the picture it will get larger. :o) Hopefully, you will be able to see exactly what I am talking about. First, I poke a hole in the center of the area being cut out. Next, I cut out a circle that is smaller than the area that needs to be removed. This allows more room to move the scissors around without stretching the felt too much. Next, I slowly cut around the actual line ~ usually I get a little spiral as I cut the circle. Finally, I trim any little fuzzies left inside the circle from the felt. For this I usually bring my scissors up from the bottom and through the hole rather than angling down from the top. This helps you see better and control the smaller movements needed to do the clean-up of your cut-out area. I hope these tricks are helpful to you. I enjoy cutting felt so much more when I take the time to collect the appropriate tools and take the time to set up each step rather than rush to just get it cut out. This was my banner for a past Storytime Prop Swap. 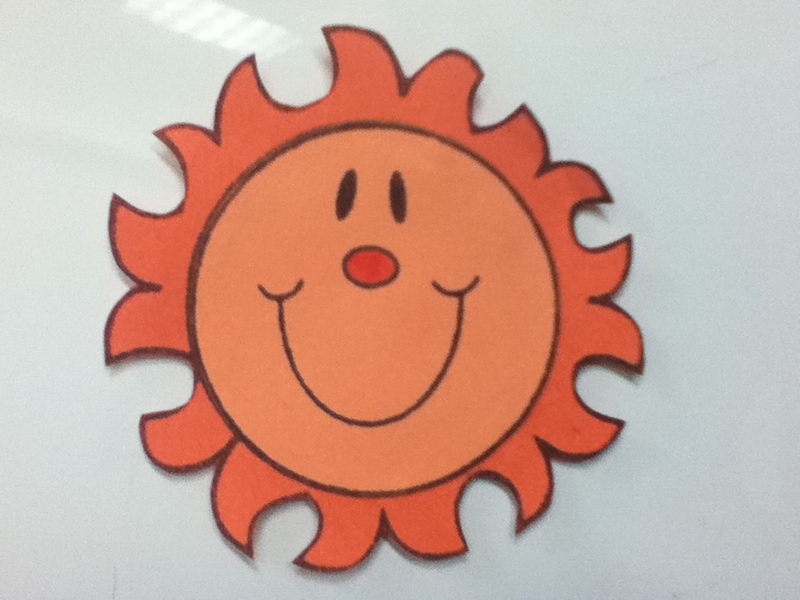 The Swap was based on the Summer Reading Program that many libraries used this past summer. The theme was "Dig into Reading" and I used a character from one of the books shared last summer. This is Mole from Jane and Will Hillenbrand's book, What a Treasure! It is a cute book that I flannelize-ed. 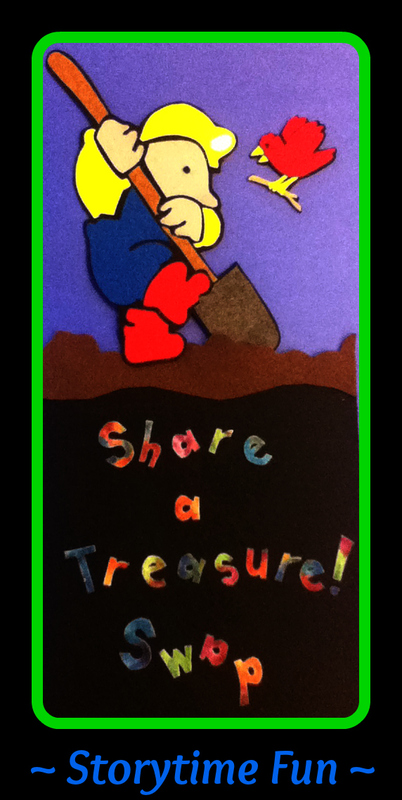 Mole is sharing a found treasure with Bird! Aren't they cute? In celebration of my Blast from the Past post, is anyone interested in a second annual Storytime Prop Swap? I can easily set one up! If you are interested ~ even just a little bit! ~ just let me know in the comments below or by emailing me at storytimeabcs@gmail.com with "Storytime Prop Swap" in the subject line. This post is being shared this week on the Flannel Friday Round-Up (where I am the host this week!) 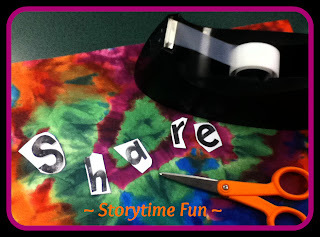 and the Storytimes and More Saturday Share (where you can join in by sharing your own ideas each week). 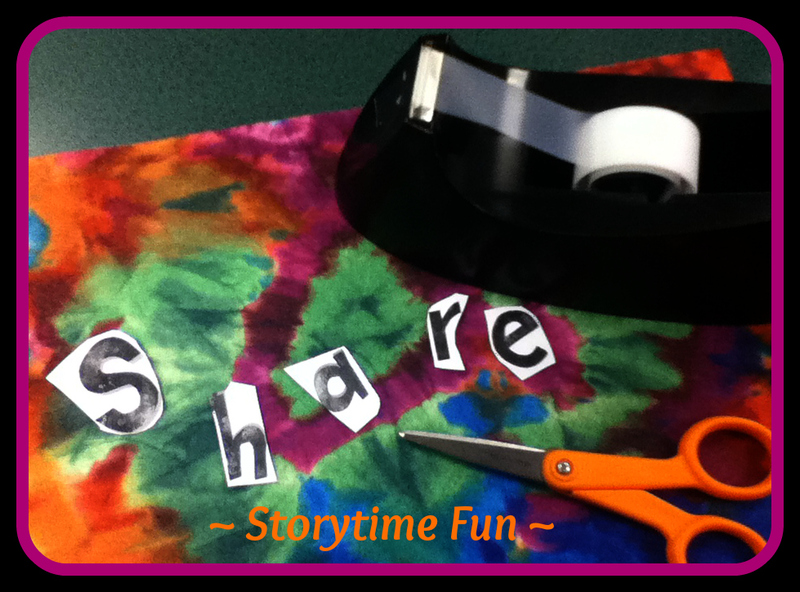 Be sure to check out both for more awesome ideas to bring learning and fun into your own storytimes. Are you ready for this week's Flannel Friday Round-Up? 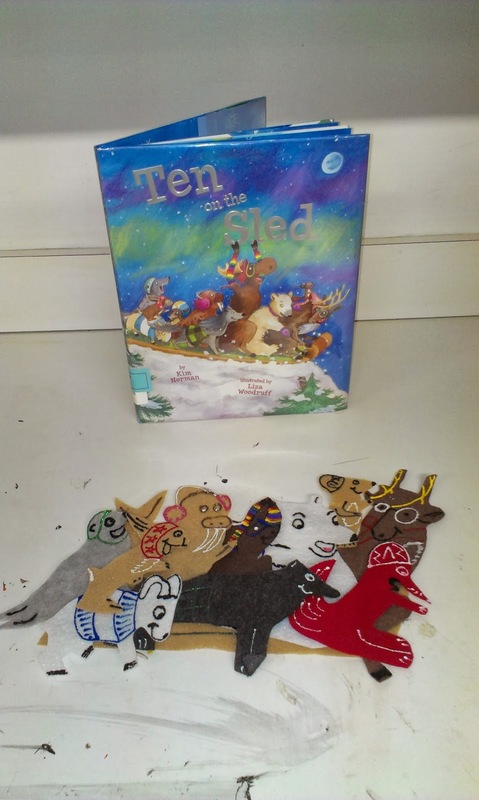 Lisa from Thrive After Three has used puffy paints to create some very detailed animals who are enjoying a lively sled ride in the book, Ten on a Sled, by Kim Norman. 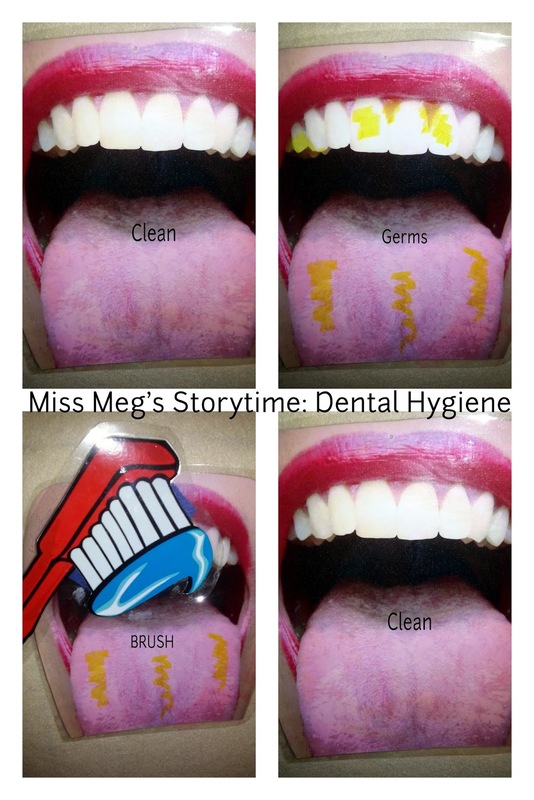 Meg from Miss Meg's Storytime brings us two germy ideas this week just in time for National Children's Dental Health Month. The first is a "great visual" that will help even your toddler friends learn about brushing teeth. 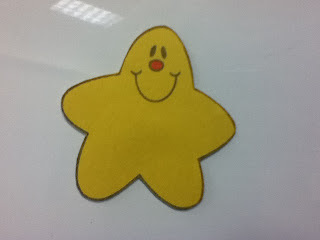 The second is a flannel board version of Five Little Germs. Kathryn from Fun with Friends at the Storytime is sharing her own adorable felt version of a rhyme written by her co-worker, Mr. Thad. 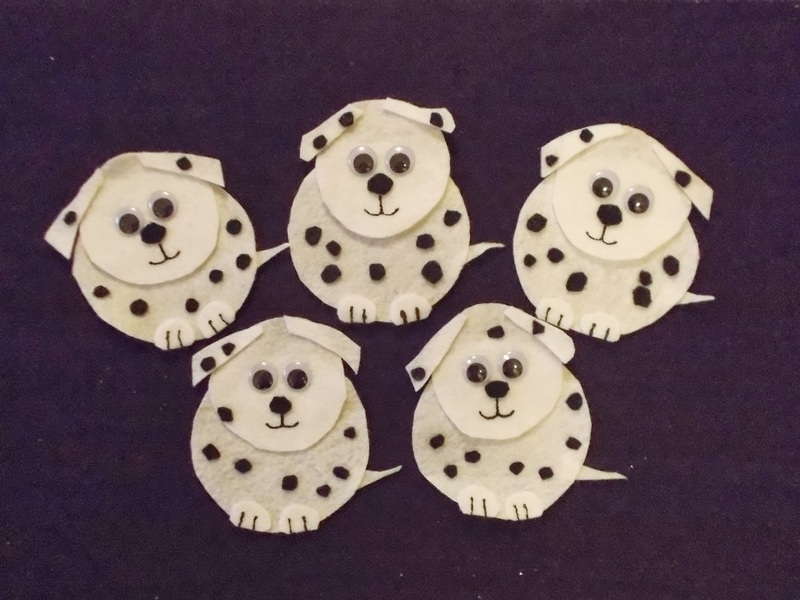 The rhyme is Five Dalmatians and is perfect for lots of different storytime themes like ~ dogs, pets, fire safety, spots, etc. Oh, and you just gotta love those googly eyes! 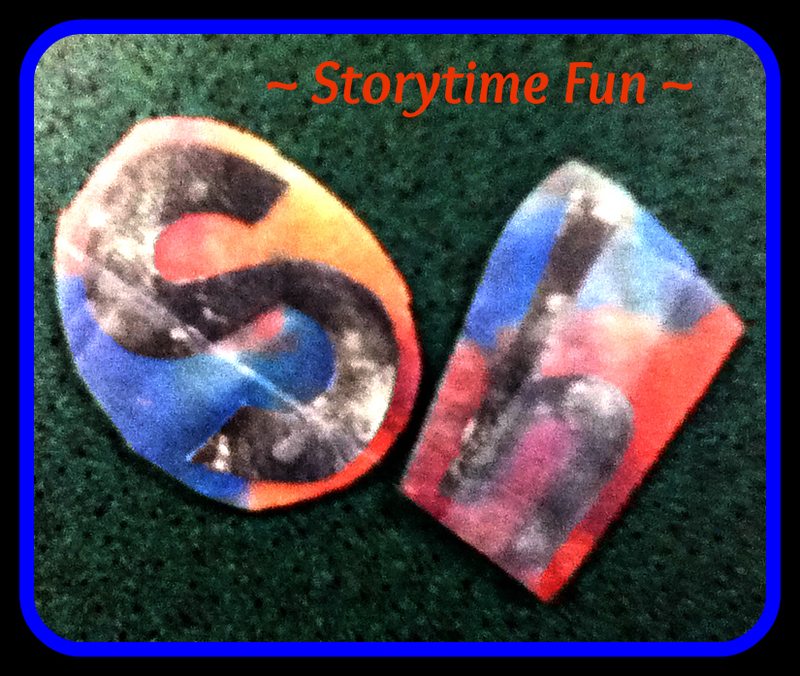 Christine from Felt Board Ideas was inspired this week by the librarian who did storytime during her daycare's visit to the library. Christine recognized the classic song, Slippery Fish, but was introduced to a new song that she had not heard before ~ Five Little Fishies Swimming in the Sea. Such fun ocean animals with more googly eye fun! Katie from Story Time Secrets shares a very interactive version of one of her storytime staples, Bumpin' Up and Down in My Little Red Wagon. Katie even includes a link to a Raffi video for the hand motions to this lively song. By the way, in case you are curious ~ "Miss Katie's gonna fix it with her hammer..."
Anne from itsybitsymom has taken advantage of some "tough" weather in her area and she has been busily working on several felt sets inspired by other Flannel Friday-ers. The one she has for us this week is based on the book, Not a Stick, by Antoinette Portis. Lots of different mediums were used in her highly creative pieces! Congratulations to Amy from The Show Me Librarian for completing her "month two of felt story goal" with such a cute version of one of my favorite color stories ~ Dog's Colorful Day by Emma Dodd. 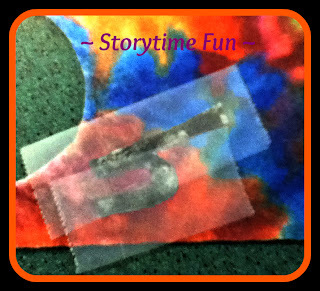 Amy's storytime friends are going to really enjoy all her hard work! If you don't have your own version Dog and all his colorful spots then your storytime friends are definitely missing out. Bridget from What Is Bridget Reading? 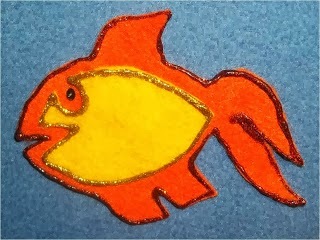 was once again Flannel Friday-inspired to create some very colorful and sparkly goldfish. I am totally impressed with her "metallic glittery puff paint" prowess and you will be, too! 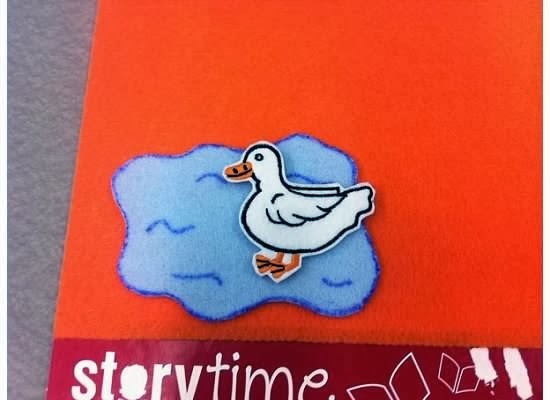 Kristen from Library Village is sharing a simple guessing game ~ Where's Duck? ~ that will work with babies and toddlers. 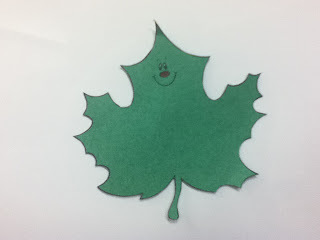 This "quick to make" activity set will set you on your way to an exciting and very welcome Spring storytime session. It is a very versatile set and Duck is so sweet, isn't she? 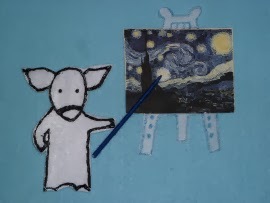 Linda from Notes From the Story Room gives a shout-out to another Flannel Friday-er, Jane, for her inspiring felt work. 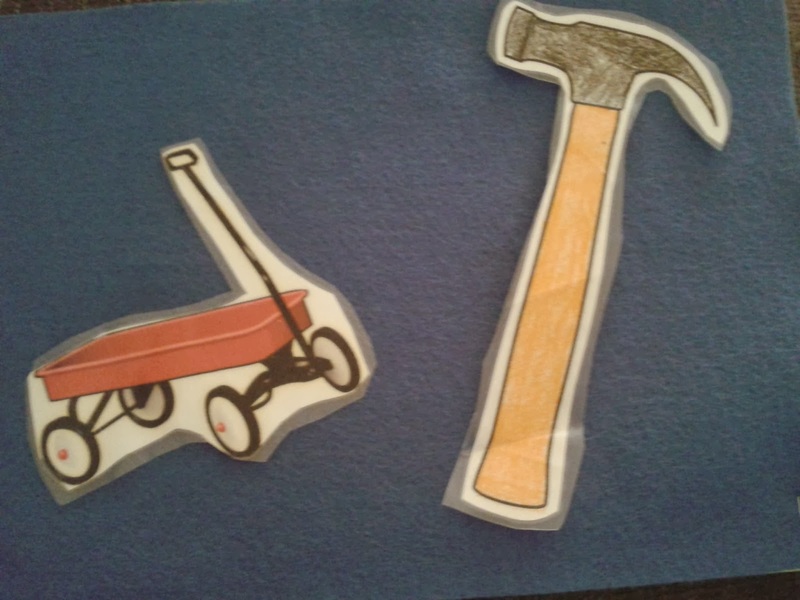 She also mentions and links up several ways to make different styles of storytelling sets. Then she shares her favorite way to "quickly" make pieces for your flannel board using interfacing. Linda provides some wonderful tips for making and storing your interface pieces. Guess who is next in our Round-Up. It's the aforementioned flannel-inspiring Jane from Piper Loves the Libray! Welcome back, Jane! You were missed! 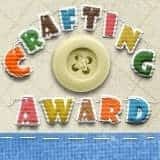 She is joining the Round-Up this week with an informative post about serving on the Cybil Awards Committee as a finalist judge. What a cool experience! Lauren from The Dilley Dally is a first time contributor this week. Welcome to Flannel Friday! Apparently, Lauren is resourceful as well as being organized enough to be preparing for summer already. Very impressive! 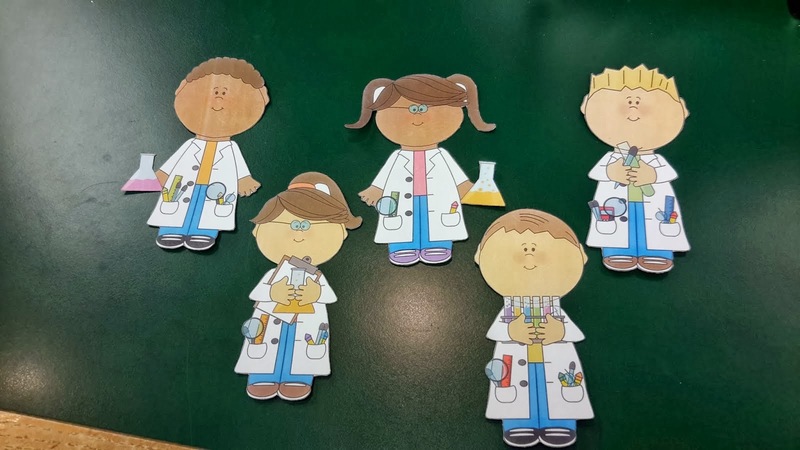 After not being able to find a scientist flannel, she created her own ~ 5 Little Scientists. 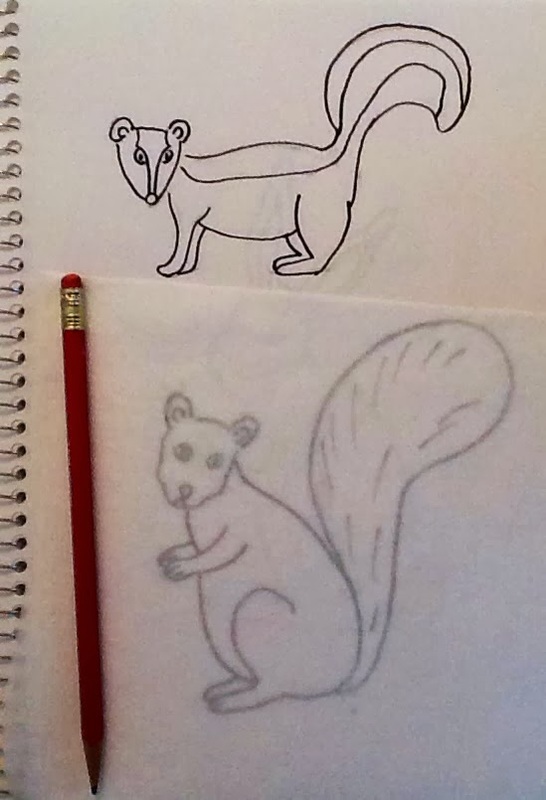 It is adorable, too! Another warm welcome to Melody who is also joining the Flannel Friday Round-Up for the first time this week. 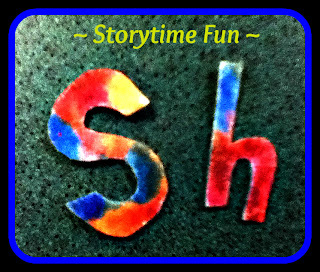 She is a Guest Poster on my blog, Storytime ABC'S. Melody is sharing a cute magnetic board set and rhyme that she uses for reinforcing color recognition in her PreK classroom. 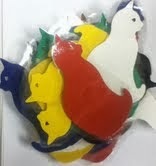 The rhyme is Color Cats and the magnetic cats are very simple to make using a diecut machine. My share this week is another Blast from the Past with a little updating. ;o) It is all about Felt Cutting Tips with an invitation to answer a simple question ~ Is anyone interested in a 2nd annual Storytime Swap? If you are curious about what that might be, just click here for more information about the First Annual Storytime Swap. It was really fun! Thank you for stopping by for the Round-Up. I hope you enjoy it as much as I have enjoyed bringing it all together!